Marvelously situated at the northernmost tip of the United Arab Emirates, this golf club provides a soothing and relaxed environment to the visitors. Al Hamra Golf club is one of the most picturesque places which offer scenic views and unique experience. It is creatively designed with Middle-Eastern grace, similar to the forts available in the region. Moreover, the majestic resort offers 54 uniquely styled villas packed with 219 luxurious rooms and suites. The area is surrounded by white sandy beaches, stunning mountains and striking sceneries. Visitors to Al Hamra Golf Club discover the most memorable experience of their life. The ultimate vision of Al Hamra golf club and resorts is to become a major international leisure destination. This article will provide you profound details about this place. - A beautiful beach is located in the close proximity of Al Hamra golf club and resorts. - Facilities like Gymnasium, Sauna, Health club and message centre are available for the visitors. - Provide a cozy and friendly atmosphere to all the guests. - Restaurant, bar and a café is also located at Al Hamra golf club. - Membership is also offered to the visitors. 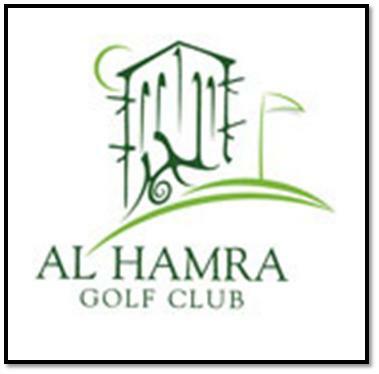 Al Hamra Golf Club & Resorts remains open for seven days a week. Its operational hours are 7am to 9pm. If you are visiting to this club, head towards Sheikh Muhammad Bin Saleem Road near Al Hamra village, where you can easily locate Al Hamra Golf Club & Resorts.